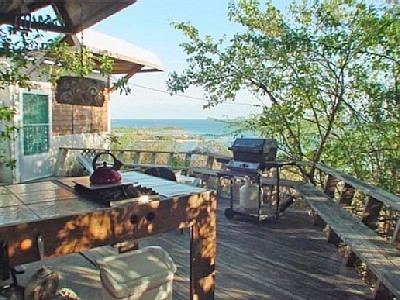 Culebra is known for its spectacular beaches, diving among beautiful Coral Reefs, and hiking through the National Wildlife Sanctuary. 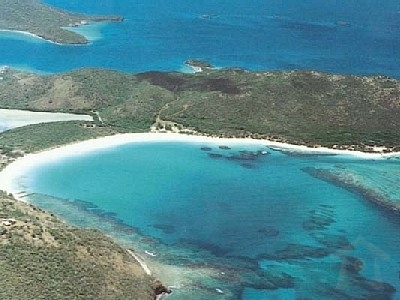 The town of Culebra offers restaurants, grocery stores, a post office, souvenir shops, churches and a quaintness unique to this area. Lacking high rise hotels, casinos and crime, Culebra is for the discriminating traveler who is looking for total relaxation. Our Villa boast the most magnificent views! 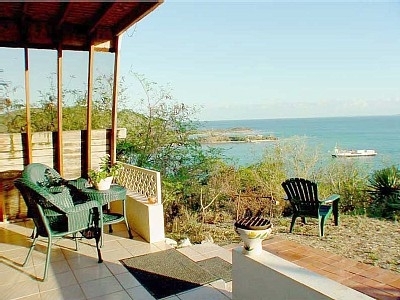 We overlook the Harbour of the town of Culebra and the striking Vieques Sound. 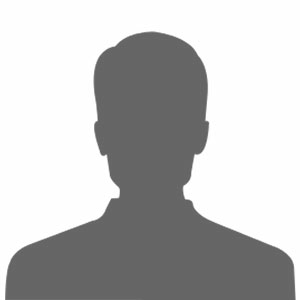 We are within walking distance to both the town and beautiful MELONES BEACH AND IT’S REEF. 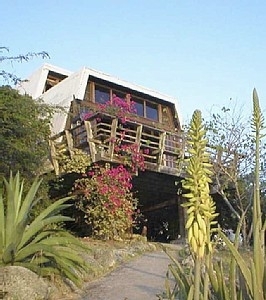 Your hosts Jane & Druso Daubon have been offering the BEST lodging and hospitality in CULEBRA since 1970. Private yet not isolated, each Villa has a comfortable living/dining room with 12’ high exposed beam ceiling. Handsome French doors open out to the main balcony with its’ splendid views. There is also a fully equipped modern kitchen and a tiled bath. The Master bedroom has a queen size bed and a private balcony. 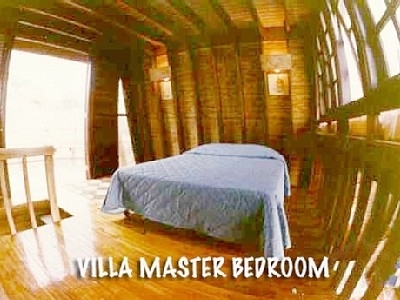 Two of the Villas have a second bedroom with twin beds and balconies. We also have 3 air conditioned suites on our 5 acre Estate.